We have been providing PCB fitting services since 1997. We may either fit the entire board or only its part when you deliver your printed circuits, boards and other components. If you leave the whole PCB fitting up to us, we will take care of the whole manufacturing process from the beginning to its end – the preparation of printed circuit boards, the design, the manufacturing and the fitting. 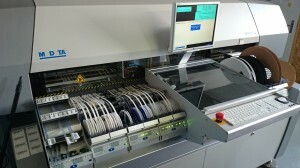 We have a fully equipped workplace for the assembly of SMD components. 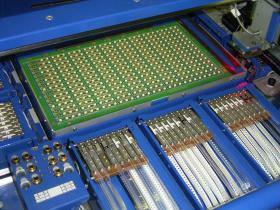 The total capacity of SMD production lines in 30,000 components per hour. We use components from size 0402 upwards. We can use a lead solder, a lead-free solder or glue. The equipment for SMD assembly: 3 x fitting machine, a reflow oven, 2 x printing device for paste or glue, AOI workplace and CNC centre. We also take care of the whole purchase of material (common components are always in stock) and PCBs. 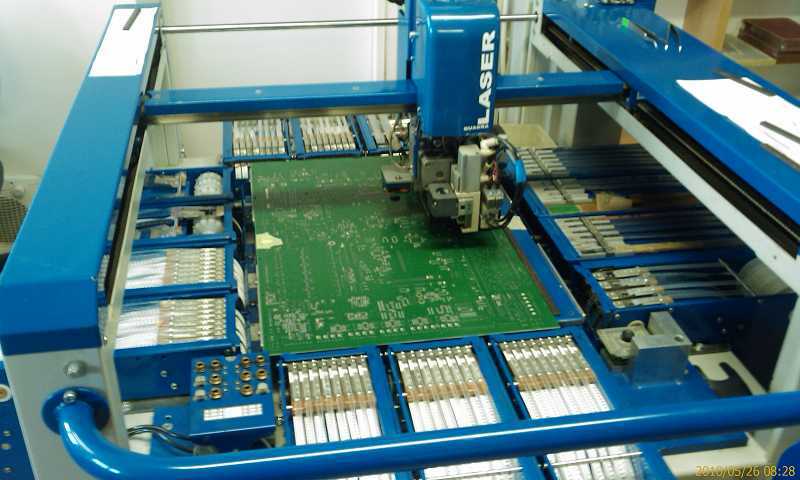 We have been manufacturing electronic components and using them for PCB fitting for more than 20 years. We have manufactured many original products over those years. Most of the time, we work for customers from Prague and the whole Central Bohemian region but we will be happy to offer our services to everyone.